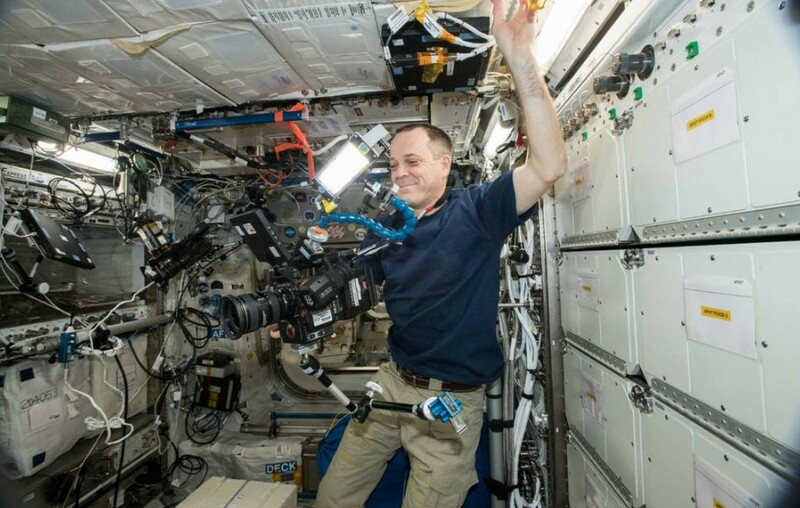 NASA took the first 8K footage – ultra high definition (UHD) video of astronauts living, working and conducting research from the International Space Station. NASA indicates “The same engineers who sent high-definition (HD) cameras, 3D cameras, and a camera capable of recording 4K footage to the space station now have delivered a new camera capable of recording images with four times the resolution than previously offered”. The 8K camera is capable of shooting at resolutions ranging from conventional HDTV up to 8K, specifically 8192 x 4320 pixels. To imagine clearly let’s bring an example; an average HD consumer television that displays up to 1920 x 1080 pixels of resolution, and digital cinemas typically project in resolutions of 2K to 4K. This 8K video took viewers through a different kind of experiments and facilities aboard the orbiting outpost. We would like to mention that on Friday, Nov. 2 NASA celebrates the 18th anniversary of humans living continuously aboard and the 20th anniversary of the launch of the first two space station elements on Nov. 20 and Dec. 4, 1998, respectively. So, below you can enjoy the 8K footage!